The Meriden Community Centre has received a major ‘face-lift’ thanks to the involvement and support of a number of organisations. Watford Borough Council, who own the community centre, chose well-respected local charity Watford Football Club’s Community Sports and Education Trust to run and manage the centre. Watford Borough Council, Watford Community Housing Trust, Sport England, the Premier League & The FA Facilities Fund, the Football Foundation and Watford Football Club’s Community Sports and Education Trust all collaborated to deliver the first part of what is expected to be a full regeneration of the Meriden estate. Now called the MERIDEN GYM in Garsmouth Way, Watford. Is set to have an Open Day next month November 3rd with Graham Taylor as Guest. Will soon be open from MON - FRI 9am - 10pm and SAT 9am to 6pm. WCHT will get a reducred rate of£1.50 instead of the £2. Grassroots sport in the Meriden estate in Watford is set to benefit from a major boost following the news that Watford Football Club’s Community Sports and Education Trust are to start work on creating a new third generation (3G) artificial grass pitch (AGP) as part of the Meriden Community Centre. The 3G refurbishment is thanks to a grant of £250,916 from the Premier League & The FA Facilities Fund, which is delivered by the Football Foundation, as well as funds from Watford Borough Council, The Bernard Sunley Charitable Foundation and Watford FC’s CSE Trust itself. The grants will enable the Trust to completely revitalise the tarmac area currently situated there, creating a 3G AGP complete with fencing and floodlights. The pitch will give the Trust a platform to deliver a number of its existing projects to all members of the local community. This facility will also be available for hire to local grassroots football clubs, businesses and community organisations. 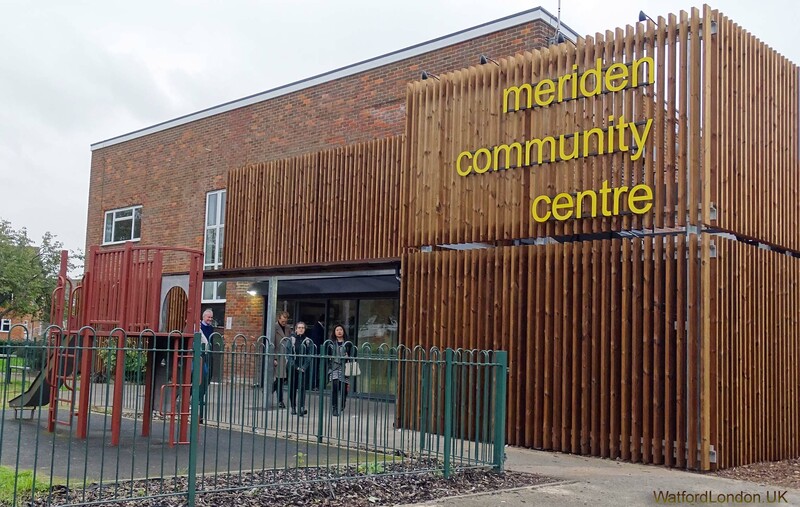 The 3G project is the first phase in a greater planned redevelopment of the Meriden Community Centre, with works due to commence later this year. Funded by the Premier League, The FA, and the Government, via Sport England, the Premier League & The FA Facilities Fund is delivered by the Football Foundation, the country’s largest sports charity. Since it was launched in 2000, the Foundation has supported more than 14,000 grassroots projects worth over £1.3 billion. Paul Thorogood, Chief Executive of the Football Foundation, said: “Congratulations should go to Watford Football Club’s Community Sports and Education Trust for working with the Hertfordshire FA to secure this Premier League & The FA Facilities Fund grant.